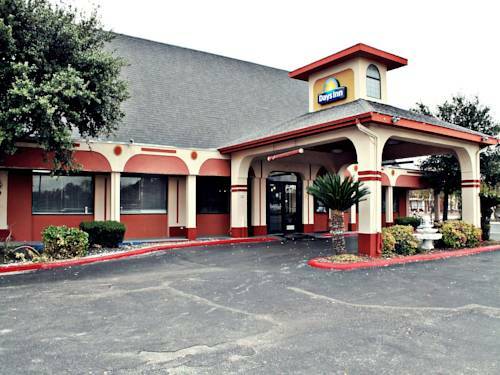 Centrally located on Interstate 10 near Six Flags Fiesta Texas, the Knights Inn San Antonio Near AT and T Center hotel offers economical comfort and convenience in Alamo City. With downtown San Antonio less than eight miles from this lodging facility, guests enjoy close proximity to attractions like the Alamo, River Walk, AT and T Center and medical facilities like Baptist Health System and University Health System. There are many restaurants nearby as well. Amenities include a swimming pool, complimentary large vehicle-parking, as well as 700-square-feet of meeting space. An outdoor pool is ideal for refreshing and relaxing, and guestrooms feature free Wi-Fi Internet access, microwave, refrigerator and coffeemaker. Smoke-free and pet-friendly rooms are also available.